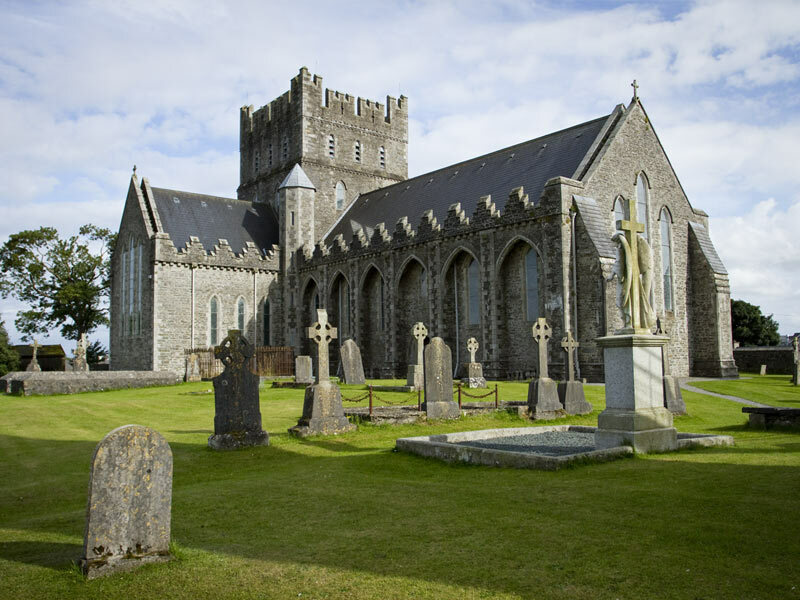 St Brigid’s Cathedral, located in the heart of Kildare town, occupies one of the most significant ecclesiastical sites in Ireland and is the site most associated with Ireland's most famous female saint, Brigid. 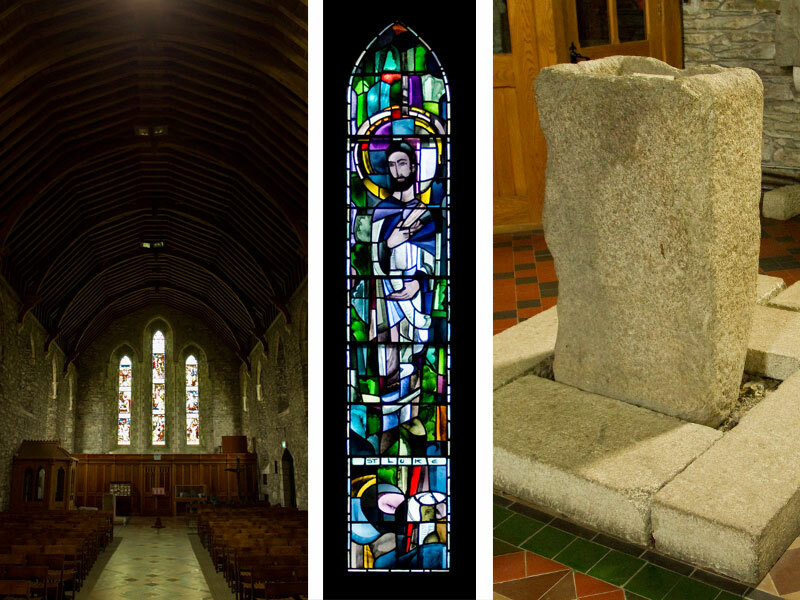 The site is one of the earliest documented Irish Christian places of worship and was most likely a significant ceremonial site since pre-Christian times. The present restored Norman cathedral occupies the site of the original early Christian foundation and church of St. Brigid. 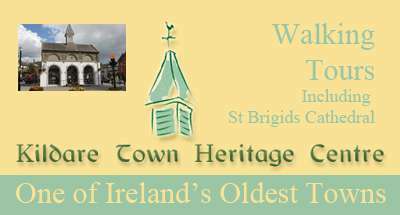 Born in 453 A.D., Brigid is said to have established a church at Kildare in 480 A.D., just 35 years after St Patrick established a church at Armagh. Her original establishment would have been a very simple structure, most likely built of wood. 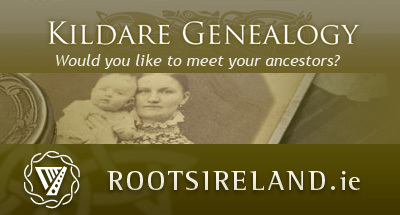 It was from this settlement that the town and, much later, the county derived the name Cilldara – Anglicised as Kildare. In Irish cill, means cell or small church, and dara means oak. It would seem that the first church was built near an oak grove, or perhaps was itself built of oak. 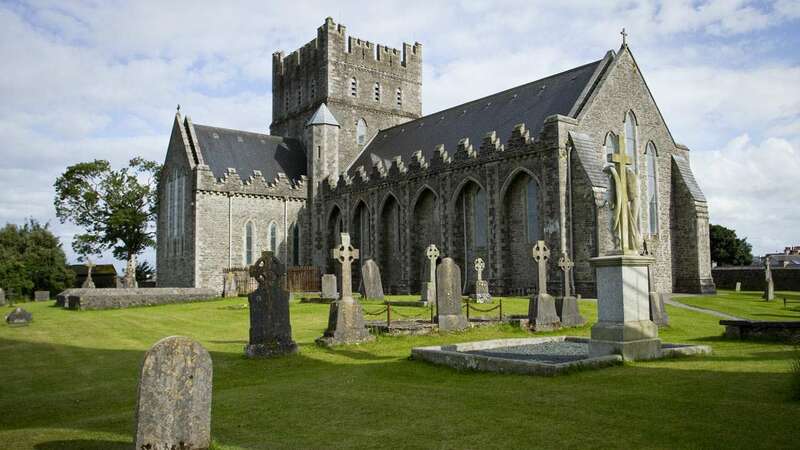 However, Brigid's monastery grew from undoubtedly humble beginnings to gain in importance to the extent that, soon after her death in 523 A.D, a costly shrine to honour Brigid was erected in a new larger building. The major significance of Brigid's establishment at Kildare was that the Abbess ruled over a double community of both women and men and the first Bishop of Kildare, St. Conleth, also known as Hugh the Wise, was subordinate in jurisdiction to the Abbess. This power structure was to continue for centuries and was unique in Europe. It was one of the many features of the early Irish church which distinguished it from continental Christianity, which explains the contemporary association of Brigid with “Celtic” Christianity. Nothing is left of the early Monastic settlement and the only pre Norman remains at the site are a partial high cross, remains of a structure reputed to be a Fire Temple, and an impressive round tower, the doorway of which has recessed arches carved in low relief in a Hiberno-Romanesque style. It was documented that between 835 and 998 the monastic settlement at Kildare was attacked and all but destroyed sixteen times. After the Norman invasion and settlement of Ireland, Ralph of Bristol was made bishop in 1223. 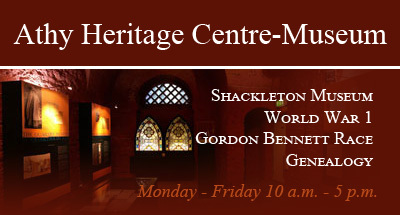 He began work on a new Cathedral which was completed in 1230. The remains of this structure form the basis of the present Cathedral. It was built in the early Gothic style with a square central tower. The cathedral was also built with a number of defensive features testifying to the troubled relationship between the conquering Norman population and the Irish in the early Norman period. Ralph's Cathedral had fallen into a semi-ruinous state after the Reformation and by 1641 it was totally ruined following the Confederate Wars. It was partially rebuilt in 1686 but again by the late 18th century, as can be seen from illustrations of the time, was for the most part a ruin with part of it's chancel retained as a church. A major reconstruction, initially under the supervision of the architect George Edmund Street ( 1824–1881), was begun in 1875 and completed in 1896. The reconstruction incorporated the remaining elements of the original 13th century cathedral of Ralph, removed the church which was on the site of the chancel and rebuilt the chancel along the lines of the original. It also reconstituted the central tower, only part of which had remained intact. The remaining walls of the nave and transepts were restored and added to, some had to be rebuilt, and the whole structure re roofed and new windows installed. The structure that we see today is this late 19th century restoration which is a combination of new and original masonry work. The Cathedral is entered through the south transept which houses a small collection of late medieval sculptural monuments ranging in date. The finest of these monuments is the Tomb of Bishop Wellesley who died in 1539. Wellesley was prior of the Augustinian Abbey of Great Connell close to the preset day town of Newbridge, and was appointed Bishop of Kildare in 1529. The tomb, which was originally in Great Connell, was relocated to Kildare Cathedral in 1971 in order to ensure it's conservation. Despite the damage suffered over the centuries prior to it's relocation, the tomb is considered to be one of the finest examples of a 16th century sculptural altar tomb still in existence in Ireland. The top of the tomb has a carved effigy of Bishop Wellesley and each vertical end has scenes form the New Testament; the door end is Ecce Homo, (Christ bound before Pilate), and the opposite end closest to the Choir is the Crucifixion. The tomb is also unusual in that it has, hidden under the lip of the top, a carved sheelagh-na-gig. Of the architectural features of the internal structure itself, the Cathedral is predominantly a 19th century interior, with unrendered walls (although some of the masonry is medieval, it would have originally been rendered). The masonry is faced with cut keystones. The scale and amount of masonry on display without any decoration, coupled with the oak ceiling, gives the space a simple yet impressive quality. The windows are 19th and 20th century stained-glass, the furnishing are of oak and the altar fittings are of Irish marble. The altar frontal designed which incorporates the symbolism of St Brigid is by the English artist, John Ninian Comper. The tower recreates a feature of some Irish medieval cathedrals, such as St Patrick's at Cashel, a passage built into the walls and extending to the upper stories crossing in front of the window before disappearing back into the walls. The ground floor of the central tower, usually referred to as the crossing, in Kildare's case houses a choir with stalls made of solid oak. These were made specifically for the Cathedral and are embellished with oak leaf carvings. The Bishop's throne commands this space with an elaborately carved canopy sitting just inside the chancel or High Altar area. The North transept, or Lady Chapel, is dedicated to Our Lady and houses a Conagher organ built in 1896. The nave is dominated by the west window, a triple lancet window, which depicts the lives of three Irish saints, St Patrick, St Brigid and St Columba. On the south wall is the Cathedral's most modern window, which is dedicated to St Luke. It was installed in 1974 and was made from Dublin Glass by the Czech born artist Gerda Frömel just one year before her untimely death. Frömel was all but forgotten until an Imma retrospective in April 2015 reassessed her place in the Irish art scene of the 1960s and 70s. On the same side as the St Luke window, closer to the nave's west end is a large medieval stone which has been used since the 1920s as the Cathedral's Baptismal font. On the wall opposite are a selection of medieval glazed line-impressed tiles discovered at the Cathedral. The patterns, size and glazes are identical to tiles found in St Patrick's and Christchurch Cathedrals in Dublin, and St David's Church, Naas. The most likely period for these tiles range form the 14th to early 15th centuries. Externally the most interesting features of the Cathedral are the unique arches spanning from buttress to buttress. They add depth to the structure by making the side walls appear more recessed. Stone grotesque downpipe covers from the 19th century add some fun to the otherwise austere building. The parapets are of mostly 19th century stonework and are in the stepped Irish style which would be typical of the period of the original medieval Cathedral. Illustrations of the 18th century seems to suggest some traces of such parapets. The Cathedral is open to the public in the summer months and a entry fee of €2 is asked of visitors. The round tower, Ireland's second tallest at 32 metres (105ft.) 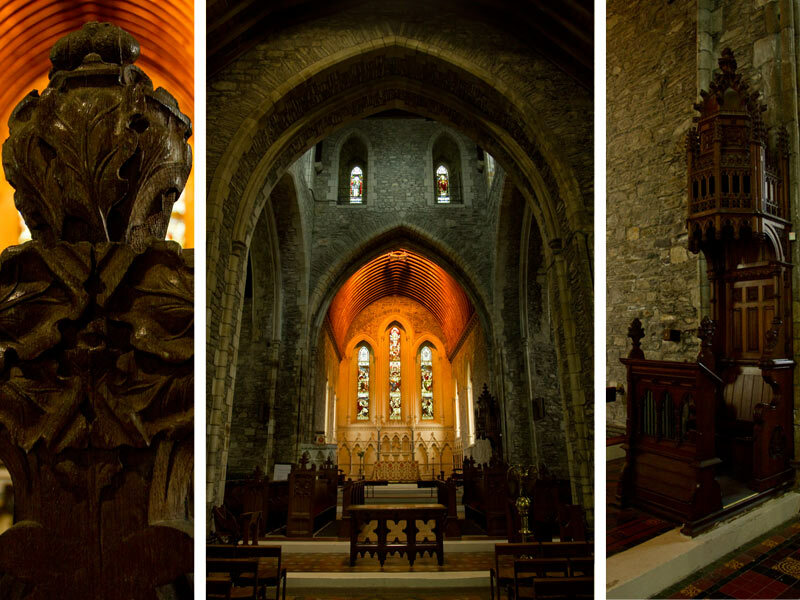 is also open to the public during the summer months and is one of only two which can be accessed by the public, the other being at St Canices in Kilkenny.